Susanna Leonard Hill: Oh Susanna! - Does A Similar Book Mean I Should Not Submit My Story? Oh Susanna! - Does A Similar Book Mean I Should Not Submit My Story? Today, after many weeks in which we have been distracted by other things, we have an Oh Susanna question! Although we are all told to be original, there are some who say there are no new stories. New baby and sibling rivalry and fear of the dark and first day of school and wanting a pet, etc., etc., etc. have already been told. This may be true. But if you spend five minutes in the library or bookstore, you'll see (using new baby as an example) Julius The Baby Of The World, Not Yet Rose, The Best Kind Of Baby, Penny Loves Pink, A Baby Sister For Frances, The New Baby, On Mother's Lap, Hello Baby, Babies Don't Eat Pizza, Waiting For Baby, Peter's Chair... I could go on, but I'm sure you get the idea - there are LOTS of picture books about kids getting a new sibling. Pretty much any topic/idea/theme you choose to write about will have been done before in some way. The trick is to make it your own - to put a spin on it that hasn't been done so that your story is new and fresh even if it deals with a tried and true topic. If you were to read those 10 books listed above, you'd see that although they all revolve around the arrival of a new baby, they are all different stories. In Julius The Baby Of The World, Lilly is jealous and doesn't have much nice to say about her new brother until her friends criticize him and she rushes to his defense. In Not Yet Rose, Rose worries that she won't like being a big sister or that the baby might not like her. In The Best Kind Of Baby, Sophie imagines all the kinds of babies her mother could have, thinking puppies and monkeys and fish would be much more fun than a human baby. As you can see, those are all very different types of stories, which address different aspects of getting a new sibling and have different moods and atmospheres. In addition to trying to put your own unique spin on your story, you will also want to research the publishing houses you plan to submit to. For example, (sticking with the idea of new babies), does the house already have a new baby book? How old is it? Is it still in print? Has it sold well and become a classic or is it lesser known? Is the actual story it tells similar to yours (e.g. is it a brother waiting for a sister and yours is too? Or is it a jealousy story and yours is too?)? I hope that answers your question and helps you out a bit! And as always I'd be grateful to have all our readers chime in with their thoughts and experience in the matter! Great question from Clueless (who, I am sure, isn't!) and spot on answer, Susanna. I am sending green-thumbed vibes to your household! Hahahaha. Black thumb. Thanks for the laugh. Look. Just talk to them everyday. You don't have to get into a conversation with them (if you did, I'd be worried about ya). Just show 'em the love. I am a master gardener. I absolutely have flowers everywhere. This answer to the question was great. And you are right. Everything has been done before, It just depends on HOW you do it to make it your own. Hugs and loves to you. Hey!! Can you believe they found what causes Sturge-Weber Syndrome? I sat at my computer last night at 1:00 AM and cried my eyes out. This changes everything about treatment, etc. A mutated gene, Sus. WOW! Thanks for this answer to a good question. I wrote a manuscript that has been done many times before although I did not know that when I wrote it. After finding out how many similar books there were out there on that topic this particular ms is sitting on my thumbdrive somewhere. Maybe someday I will find the twist to make it more mine. And more salvagable for a publishing house. We never know when a story will come in handy. In fact many of my ms are done before. That is why I don't submit them. I am too afraid of rejection. And that is why now I do a thorough search when I have an idea before spending time fleshing it out. good time to plant because you can always say it was the heat that did 'em in - or the frost - not you! oh well. We just need to tell the stories we can, in our own voice and make it worth reading. Susanna, this is great advice. The same holds true for nonfiction. Almost any nonfiction topic has been done before in some capacity, but there is always room for a new angle or a fresh approach to the topic. I can't wait to see what you have up your sleeve for PPBF. What a good question! I've run into this problem as well. I think it's also important to address the issue in your cover letter, query by pointing out how your book differs from a similar popular book. I must admit, I struggled with this question myself with a story of mine. It's a MG fairy tale smash up and as part of my prep to write an MG story, I wanted to read some MG stories to get a better feel of MG voice and style. Enter the published story that made my heart stop because my idea was sooooo similar that I nearly trashed it. Seriously. But there were and are some differences in the premise of my story and that published story so I pressed forward, wrote it, revised it and edited. it. Although I publish my YA and NA myself, I am hoping to get an agent for this MG story. Now to get going on the agent/query hunt. Stocking up ice cream for the rejections lol! Great advice, Susanna. I live in fear that there are pbs already published that are similar to my babies that I spend so much time on. It's nice to hear ideas on how to salvage them should that happen! Great advice Susanna. I had that happen to me, but my story was very different than the other two. But, I always search to make sure what has been written. In your query, you can also address how your book is different. survive. I'm known to have a gangrene thumb. 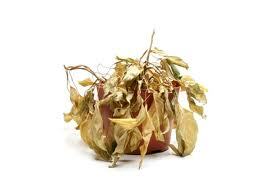 I mean, I touch a plant and it dies a slow death. I wish they didn't I love plants. Anyhoo, great advice! Great post, Susanna. I've had that feeling a couple of times - most notably one of my first PB manuscripts with my husband. We wrote about a cute clownfish in 1997 and Finding Nemo came out in 2003. That was discouraging but now I realize that there were many other ways to tell the story and it wouldn't have been competing in the same space. I just ordered a book to read for precisely this reason! I hope your PPBF work doesn't eat up too much summer time! Great answer. Felt like I was reading it for the second time today. ;-) I am so thrilled to hear you have may have a new plan for PPBF. I know how much work it was for you to maintain. I have to admit I am curious to know what this new maintenance plan/tool is. Great post, Susanna.I worked one of my first mss into a dummy, only to find that the story was almost identical to one written almost 50 yrs ago! My librarian pointed out that it was out of print and suggested I 'go for it'. It didn't win the WIP competition, but I haven't given up on it yet! This is a wonderful post. Very thorough answer to your questioner. You are not alone, by the way, suffering from black thumb. I'm pretty famous for that around these parts. Another great response to a question we all think about. Great suggestions for figuring out ways to tweak a story to make it different. I, too, am curious about PPBF. I really appreciate the work you've put into it. It is an amazing resource and has introduced me to so many wonderful books. I love this question. Great answer, Susanna. I guess it's all about the tweaking. It does get discouraging and worrisome to see your very own fantastic, original idea on the shelf at the library, though. Good question and very helpful answer. I just one with a similar main character the other idea and turned into a whining, stomping 4 year old. Luckily my tantrum stopped when I realized the book was what I'll call a "high message driven story." So, maybe there's still hope! So glad if you found it helpful, Penny. As for PPBF, we'll see. I really love it and want to figure out a way to make it easier for me and for people who want to use it. We'll see...! I thought so too. I think it's something a lot of people wonder about so I'm glad she asked! My flowers are begging you to come visit. Please, Robyn, please save us! Do you hear their desperate little voices? Glad you liked the answer to the question. And YES. I know! How utterly fantastic about Sturge-Weber. Now that they know what causes it, do they have new ideas about how to treat it? Something that will help your Christopher soon??? Oh, I HOPE so! Yes, that is true, Kirsten! I'm so glad you brought up non-fiction because I neglected to mention it! And I don't know if my idea will work, but I sure hope so! Glad you enjoyed the Q&A, Catherine. As for plants, the problem with them is they don't let you know when they need something! A dog, for example, will remind you if supper time has come and you have not noticed, but plants not so much... :) Hopefully the outdoor ones have a better chance, what with the possibility of rain even if I forget to water :) Fingers crossed for the PPB list! Well, I really don't know if it's going to work, Darshana. We shall see! I know! I do that all the time. I find books that sound similar and go rushing off to the library to see HOW similar. But usually I find they're not really the same after all :) Reorganizing PPBF will be a very time-consuming job - there are over 1500 books - I'm not even sure how many more because I'm behind in updating! - but if it works it will be worth it! Great answer, Susanna. This is the best response to the commonly asked question. Even authors of novels are faced with the same issue. It's true - I really think all authors are. But you have only to look in the romance section to know there are a whole lot of ways to spin the same tale :) I finished FORBIDDEN, BTW, and OMG! What a book! I'm still thinking about it and feeling bad for Lochan and Maya! Ye gads! Great tips. I was lucky to find one of my WIP currently has older comparable titles. I really need to read at minimum the free info I can get from Publisher's Marketplace on a regular basis. Good luck with the changes to perfect picture book list changes. What great advice! :D There are a lot of different branches to choose from in the form of writing about a certain topic! Thank you for this Susanna. Lest you think I don't keep track of this fantastic blog because I'm so quiet, I want you to know that each and every time I think I should stop pretending I know anything about writing--I come on here and feel inspired. You and this lovely blog are very dear to my heart. This happened to me. I had a children's chapter book all finished, polished, and was ready to market for a publisher. Then I reviewed a children's book by for a friend that was identical! Since her's was already published and doing well, I had to re-write the whole story. Actually, I'm still re-writing. I did change it to put another spin on it but I was discouraged for a while! Oh, golly! I feel your pain, Deb! But good for you for sticking it out and making the necessary changes to put a unique spin on your story and keep on going! So true, Leigh! Glad if the post helped. Are you working on a romance these days? Or a YA with romance? Great question and an even greater response! Thanks Susanna for putting it into perspective. I see from the comments that this happens quite often. It has happened to me but I do see that there is a difference in execution or slight change in plot. Your answer is inspiring to a potentially discouraging question. P.S. i hope your annuals survive. That IS crazy weather! Thanks for clarifying this, Susanna! I had wondered the same thing. Thanks for the laugh! Now when I'm blocked I'll picture Dory, "Just keep writing, just keep writing..." LOL! She's back today, apparently! LOL! reassuring to know that many of us encounter similar obstacles and discouragements—but also good to know we can find a way through.